Bitter Blue is very similar in looks to Floratam St Augustine with a deeper blue color as the name implies. 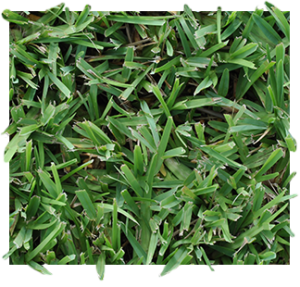 Making it a good selection of turf for your yard where Floratam will be used or is already planted in the sunny areas, Bitter Blue St Augustine can be added in the light shade areas without much transition. Blades tend to be a bit finer as well. We do not recommend installing this grass in the higher humidity months as it is more prone to fungal diseases when first installed. Mowed typically at a height of three to four inches, and mowing frequency should be adjusted to the amount of growth, never removing more than one third of the height of the leaf blade while mowing.